We’ve all heard the idiom, If you don’t have your health, you don’t have anything. Lately, more and more people are taking this message to heart. The pursuit of fitness, emotional well-being, and healthier diets has taken center stage in our culture like never before. Being accountable for your health is a giant leap in the right direction. But to truly take ownership, you need to know the facts about what causes disease—facts that much of the medical community isn’t yet aware of. For example, most people are shocked to learn that many life-threatening health problems that run rampant through our culture—cancer, heart disease, and other chronic degenerative diseases—begin in the mouth. It’s just not widespread knowledge. And that’s why people focus on treating symptoms rather than taking steps to prevent illness from forming in the first place. The more you know, the better you can make informed choices each day to support your wellness. Here are eight facts you probably haven’t heard about why we become sick and how to better prevent the onset of disease. Silent infections in the mouth can make you sick (and may make you VERY sick). First things first: Nearly all degenerative diseases (including heart disease, breast cancer, and other cancers as well) can be linked back to silent infections lurking in the teeth, gums, and tonsils. While some infections in the mouth cause so much discomfort that patients must visit a dentist right away, most oral infections are symptom-free. They go unreported and untreated. Eventually disease sets in. The scariest part: Asymptomatic tooth infections are prevalent in most of the population. A simple 3D X-ray can reveal symptom-free oral infections that cause disease. A diagnostic test called 3D cone beam imaging provides an in-depth scan of the teeth, gums, and sinuses, and identifies hidden infections that are completely painless and symptom-free. (These infections cannot be seen using a standard X-ray examination.) I support making 3D cone beam imaging a standard part of patient care. Detection is key in preventing many degenerative illnesses today. Having a baseline 3D X-ray when you are healthy and young can prevent illness from taking hold. On the other hand, if you are currently suffering from an illness, this diagnostic test may identify a silent infection so it can be addressed with your care team. Root canals are almost always bad news. A recent study revealed that all root canaled teeth are chronically infected teeth. While some root canal patients can experience good health for many years following the procedure, root canals are responsible for the vast majority of heart attacks today, and also contribute to a host of other diseases and symptoms. Root canaled teeth often become highly toxic and can lead to chronic degenerative diseases. If you can avoid having a root canal, do so. 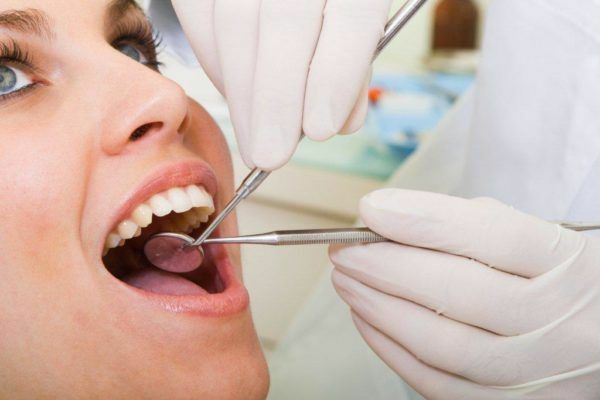 In many cases, having the tooth pulled is a far safer alternative. Oxidation is the source of disease. All disease comes down to a single factor: too much oxidative stress in your body. Oxidation is a normal component of the body’s healthy metabolic activity, but thanks to our highly toxic lifestyle, a state of highly increased oxidative stress (IOS) is becoming the norm. A powerful way to reduce IOS is by decreasing your toxic load. First and foremost, this can be achieved by identifying and treating infections in the mouth. But there are other steps you can take as well. Aside from eliminating chronic infections in the mouth, you can decrease your toxic load by improving your digestion. The standard American diet consists of highly processed foods that lack beneficial micronutrients. Further, thanks to compromised gut health, many people fail to fully digest their food, which then putrefies and creates a host of toxins and toxic metabolic byproducts. To combat poor digestion and get the most nutrition from your food, pulverize a variety of fresh fruits and vegetables into a nutrient-rich smoothie. Another tip to reduce IOS: Sweat out your toxins in a far infrared sauna. And if you don’t have access to a sauna, aerobic exercise is another great way to gently detoxify your body. 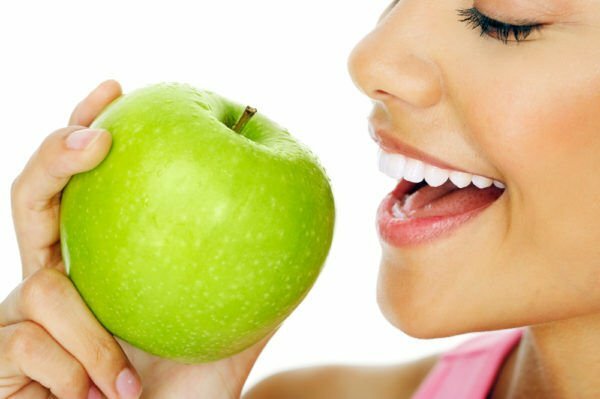 Balancing your hormones can lessen the impact of oral infections. Low estrogen levels in women, low testosterone levels in men, and low thyroid hormones in both men and women all result in an increase in oxidative stress. And when oxidative stress is increased throughout the body, any focal infections present in the teeth and gums are more likely to become metastatic. Therefore, it’s important to keep these hormone levels well within the normal range at all times. Normal thyroid function is particularly important in preventing infected teeth and gums from producing increased oxidative stress throughout the body. Traditional thyroid testing reliably diagnoses only extreme thyroid problems and misses more subtle forms of dysfunction. Patients should request T3 and reverse T3 tests to correctly analyze their thyroid health. Many people need to supplement with T3 as well as desiccated thyroid to restore function. The right supplements can help safeguard your health… Vitamin C, magnesium, vitamin K, and vitamin D3 are arguably the four most foundational supplements. The supplementation of each of these agents individually is associated with a decrease in all-cause mortality, meaning that they positively impact all diseased cells in the body. Other important supplements include tocopherols (vitamin E source), beta-carotene (vitamin A source), vitamin B complex, lysine, proline, omega-3 fish oil (EPA and DHA source), iodine/potassium iodine, coenzyme Q10, N-acetyl cysteine, alpha-lipoic acid, curcumin, MSM, aloe vera, and whey protein. Work with your healthcare practitioner to learn which supplements are right for you. …but the wrong ones can make you sick! While some supplements can bolster your health, others are dangerous and should be avoided. Calcium, iron, and copper are toxic nutrients and should always be avoided. The scare of osteoporosis keeps calcium at the top of the list of commonly ingested supplements. But studies show that higher calcium levels are associated with all-cause mortality. Iron is another supplement that should never be taken unless a patient suffers from iron-deficient anemia. Excessive iron in the body leads to increased oxidative stress. And because it is virtually impossible to be deficient in copper, there’s no need to supplement with it in the first place. Fortified foods can be dangerous sources of toxic nutrients. Enriched or fortified foods should be carefully avoided, as they are a continuous source of toxic iron supplementation and accumulation. Such foods also cause chronic digestive disorders like leaky gut syndrome. This sets the stage for developing food allergies (to things like peanuts and gluten) and autoimmune disease. Virtually all processed foods have iron added to them, so many people are unwittingly consuming excess iron on a regular basis. It begins with the “iron-enriched” food of infancy and continues throughout life with all other foods labeled “enriched.” It is impossible for anyone to supplement correctly or even eat correctly until there is a complete understanding of what is and what is not toxic. The more you understand the factors that can cause oxidation and eventually illness, the better equipped you are to avoid becoming sick. You have much more control over your health than you may realize—and understanding this is the key to your empowerment and, ultimately, your well-being. Well, you can just imagine how a lot of people have poor oral hygiene and how going to the dentist is their least priority compared to other diseases. People would go to the doctor for something as simple as a cold but would neglect oral care. No wonder that this is the case. It’s not like I had any choice when I was told that I needed a root canal. ? Let’s just say that only 30% of the population, or even less, is eating healthy. Then, about 95% of the population is in a very toxic lifestyle. Poor digestion in itself can lead to a lot of problems. So anything we put in our mouths also causes problems in our digestion. It’s all connected. If I’m not mistaken, taking more fiber-rich foods can also be good, right? That could help your body get rid of all the toxins, so it really is helpful. Just like what they all say, you are what you eat! ? I always thought that food with added nutrients is good because it may compensate for what I’ve been lacking. How about Vitamin C added nutrients in drinks? Is that bad too? It’s true that a lot of us are living very stressful lives. Stress can even weaken our immune system. Yeah, one problem could easily lead to another. This oxidative stress thing is really horrible. I’ve read so much about this and it’s been causing a lot of problems in our body. This is why health is a holistic thing. It can’t be just one factor. It needs to be your overall health that needs to stay in check. I don’t understand exactly why fortified foods are bad. Won’t it ensure that we get all the right nutrients? What? Should iron supplements be avoided? I’m anemic and I’m prescribed with iron with folic acid. Are you saying that my practitioner is wrong? I’m confused about the food of infancy part. Balance your overall health. It’s a little wrong to say that it’s just your mouth that could be causing it all even if it’s the biggest contributor. If you’re taking of yourself as a whole, you never have to think about things like this. Getting your tooth pulled really is better. Sometimes I don’t see the point of trying to save a tooth that’s already infected. They’re going to scrape the hell out of the tooth and you’re left with nearly just the sides! It’s not worth risking your health. If we’re always treating symptoms we could be living a paranoid life.